Microsoft is undergoing some major changes, starting with the writing off the Nokia acquisition and laying off 7,800 employees. The Nokia Devices and Services business was obviously a failure and quickly became a burden. The restructuring includes Microsoft's Executive Vice President of the Windows and Devices Group Terry Myerson to become the head of the entire Microsoft Devices division. This means Microsoft is uniting its Windows, phone (Lumia), tablet (Surface), console (Xbox), HoloLens, and Band business under a single Devices division. This should help Microsoft programming and engineering teams to work closer and better on future products. Microsoft's CEO Satya Nadella announced all those changes yesterday, but he didn't shed some light on the company's plans on the Lumia series. Still, Bloomberg received a generous tip from an anonymous Microsoft source, with some spicy details on the Lumia plans. Apparently Microsoft will be taking a new approach with the Lumia smartphones, somewhat similar to Apple's release schedule. 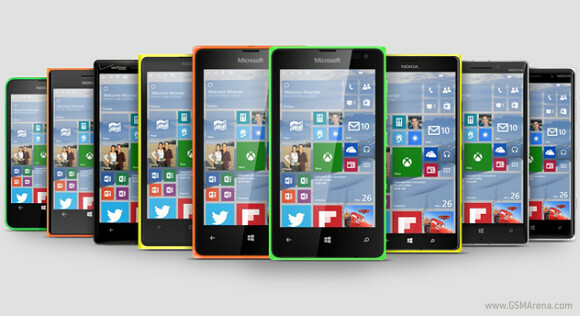 Microsoft will be dividing the phones in three different categories - flagship, business and value. Each year Microsoft will launch "one or two models" per category, which makes for up to six handsets per year. Those changes aren't immediate and will probably take effect next year. Microsoft has already released a plethora of phones this year and it is expected to unveil a Windows 10 flagship this fall. Dividing the phone business into those categories will help the manufacturer focus on certain features and deliver unique and satisfying experience.